Get creative with your favourite ingredients and choice of Noodles and let us mix it for you. 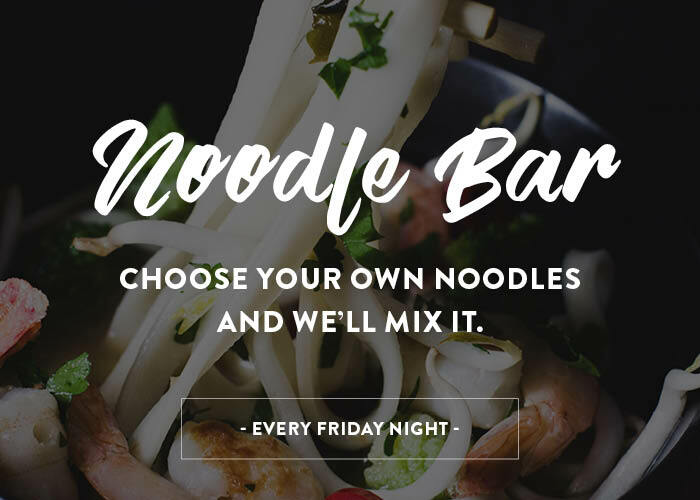 Every Friday Night, share in the experience of watching our Chef toss up your very own authentic Asian noodle stir-fry noodle. Let our Chef guide you through from start to finish as he masterfully turns your selection of ingredients into an experience you won’t soon forget. All you need to do is select from our wide range of available ingredients, Chef will do the rest. The Watergardens Hotel Noodle Bar is an exclusive feature on Friday Nights, so book to avoid missing out on the experience.